RUSH: Look at this headline: “Majority of Wild Coffee Species at Risk of Extinction, Study Finds.” This is in something called The Scientist magazine. Now, this is how climate change advocates do it. When all else is bombing out, when all else is failing, tell people that something they can't do without, they don't want to do without, tell people something that they habitually engage in is about to be taken away from them because of X. In this case, climate change. I've not shared them with you, but there have been doom-and-gloom stories about chocolate and bananas related to climate change, but I didn't even want to bother you with those, but this is how they're coming at you. “More than half of the world’s 124 wild coffee plant species meet the criteria for inclusion on the International Union for Conservation of Nature’s Red List of Threatened Species –” Let me read that again in case you lost track halfway through the title of the group. "More than half of the world’s 124 wild coffee plant species meet the criteria for inclusion on the International Union for Conservation of Nature’s Red List of Threatened Species, according to reports published in Science Advances and Global Change Biology.” Two different magazines there. Oh, you know what? I just remembered something. I haven't gotten to this either. Do you know that the next big hoax about to be revealed is sunscreen? In the sense that you and I cannot live without vitamin D, and vitamin D cannot be supplied in even minimum daily requirements by virtue of a pill or diet. You have to be in the sunlight. The only way you can get enough vitamin D to survive and not go insane is to be in the sunlight. But yet the sunscreen industry has told everybody don't go to the sun, it'll kill you, you're gonna die! You ought to see when I play golf, you would not believe the gallons and gallons of sunscreen the old guys start lathering on themselves. Some of them look like Lawrence of Arabia out there. The only thing you can see are their eyes as they're out there playing golf. 'Cause everybody's bought into this notion that one minute of exposure to the sun is gonna cause skin cancer, of which there are many different kinds, by the way. Melanoma by far and away the worst and by far and away the rarest of the skin cancers. Basal Cell Carcinoma is the most common and it's -- I don't want to say harmless, but it's so treatable that it's not considered crisis. But yet the sunscreen industry has succeeded, along with the medical community, of scaring the hell out of everybody, and so there are people walking around with serious vitamin D deficiencies. Now, I don't happen to be one of them 'cause I don't use sunscreen. And, you know, I wear a cap, but I'm not gonna lather that stuff on. I just don't do it. You know, it's amazing the number of fads that I do not -- well, it's not amazing. It makes perfect sense. Conventional wisdom, groupthink, I run away from it, run the opposite direction. But it apparently is a serious problem. And it's one of these things that we have supposedly been lied to about like other medical things. Like margarine. Margarine was supposed to be imminently safer than butter because butter has got fat in it, it's gonna kill you, clog your arteries. Turns out that margarine is a hydrogenated product that has trans fats. Margarine ended up being much more deadly -- what a laugh -- much more risky than butter. Butter is fine. Coconut oil is fine. So many things medically we've been lied to about. And so now coffee. Coffee, we've gone back and forth. Coffee's gonna kill you. Coffee's gonna cause a heart attack. Coffee's gonna cause a hardening of the arteries. Yeah, coffee's gonna literally turn your arteries into nothing but rope and nothing's gonna be able to go through there. So people have started drinking decaffeinated coffee. Then there's something wrong with decaffeinated beverages, the way they do it. You can't win. You may as well just die, as though you're not gonna die if you do everything they say. So now they're going after coffee. Let me tell you what's gonna happen here. What always happens as long as we have free markets. These things that are hyped never end up being true, like eggs and cholesterol killing you, margarine instead of butter. 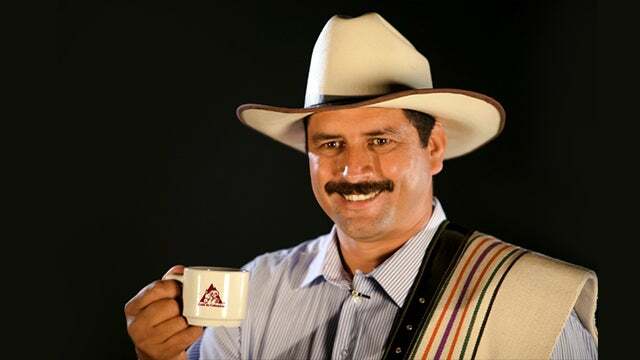 Human beings who have financial interests in coffee -- like Juan Valdez, human beings who have interests in things like bananas and chocolate -- are gonna figure out a way to adjust to the weather. And they're gonna figure out a way to adjust to whatever climate changes there are. And they're gonna figure out a way to maintain their profit because there is a demand for coffee that try as hard as they can the left is not gonna be able to get rid of. You know, it's kind of like what farmers have always done. You talk about people facing obstacles, unknown, unpredicted obstacles, they've gotta produce, and they find ways, we find ways to adapt. That's what one thing that liberty and freedom allows everybody to do is to adapt. And the left does not believe in adaptation, don't think people are capable of it. They try to anticipate everything, assume it's all gonna be negative and bad, plan for everything that way. We're gonna go to hell in a handbasket, destroying the climate, destroying the water, destroying everything, rather than realizing the brilliance of humanity when coupled with freedom, liberty, particularly economic freedom and liberty. But the headline is here for all of the ill-educated, maleducated people to start Googling, to start sharing on Facebook, "Oh, my God! Oh, my God! Climate change is causing there not to be anymore coffee!" Then next up is gonna be, "That's good! Coffee kills you. Coffee hardens the arteries,” whatever. It never ends. So many wives' tales that people end up believing.